I re-watched this tonight and was reminded what an excellent film it is and that I hadn’t written a review! In recent years, I’ve been very disappointed with Ridley Scott’s work but here, in a fairly straight science fiction drama, he’s in fine form. 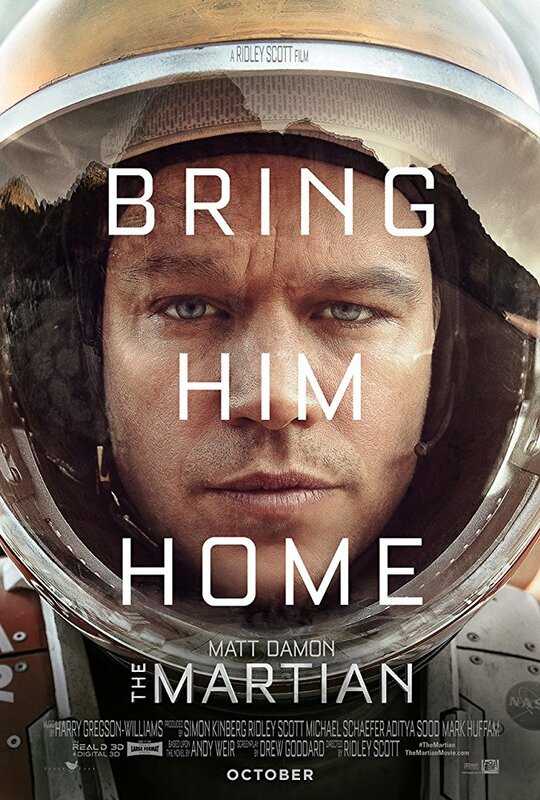 Matt Damon’s Mark Watney is a scientist who gets stranded on Mars, but despite incredible odds, he manages to use his knowledge, training and problem solving ability to stay alive. Damon brings a ton of heart to this role, there’s a lot of subtlety to Watney’s character arc and I think in lesser hands, this character could’ve become incredibly insufferable very quickly. Despite the set-up and resulting drama, the result is a surprisingly uplifting film, with some nice music choices. The action switches between the earth-bound NASA personnel, who (when they realise he’s still alive) are desperately trying to work out how to help bring him home and Watney, who’s dealing with the vagaries of trying to survive on a planet which is hostile to him in every way. I particularly liked how Watney’s crew are reintegrated into the story after the tumultuous opening scene, led by the always excellent Jessica Chastain. But the thing that really makes this work is the script, adapted from Andy Weir’s excellent novel by Drew Goddard (former staff writer for Buffy the Vampire Slayer andx Angel as well as writer/director of the slasher homage Cabin in the Woods). Goddard makes the dialogue sing and brings both levity and pathos to the drama. While the science is sometimes questionable (there’s one explosion that makes sense in the book but fails miserably in the film), the Mars sets (which I believe were shot in Jordan) bring a fabulous otherness and vibrancy to the movie and the supporting cast are uniformly great. But ultimately, this is Matt Damon doing the heavy lifting with the aid of a great script and Ridley Scott in all too rare form. Very entertaining science fiction fare.